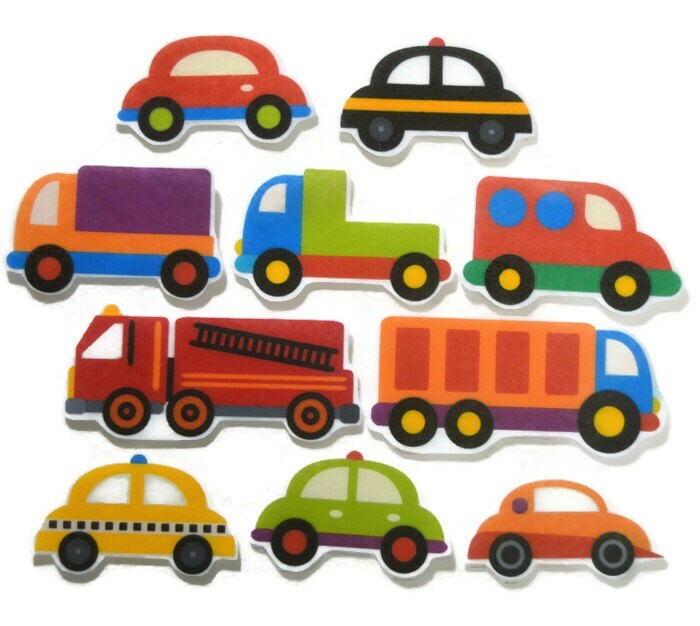 This fun set of cars and trucks felt board pieces is perfect for your little one! These are great for independent, quiet play or group activities. Each piece is made from felt and will stick to felt or flannel and measures about 2.5 inches tall. This 10 piece set include a cars, taxis, trucks, and a fire truck.